This seven-floor holiday home with lift is located near the old town of Cannes also known as Suquet. It enjoys a central location, just 100 metres from the sandy beach Plage du Midi. This seven-floor holiday home with lift is located near the old town of Cannes also known as Suquet. It enjoys a central location, just 100 metres from the sandy beach Plage du Midi, 50 metres from the nearest shops and 1 km from the Palais des Festivals, and the Croisette. Cannes is an ideal point to discover the riches of the Côte d'Azur and the hinterland. Discover the wine route of the Côtes de Provence and cross over to the nearby Lérins Islands. Do plan a visit to Saint-Raphael, Saint-Tropez, Nice and the State Monaco. Sports lovers come here to enjoy sailing, diving, water skiing, golf, tennis and horse riding. FCA145 (Studio 2 persons) and FCA146 (Studio 2/4 persons designed for 2 adults and 2 children) look out on the city side, while FCA147 (2 rooms for 4 persons) is oriented either on the pool side or on the city side. Outdoor unheated pool (open from April to October, depending on weather). Paid parking (limited, narrow access, reservation on site, it can not be booked in advance): 50 EUR / week. Note that the car park can not be reserved in advance. Animals: EUR 50 / stay / pet. The types of sleeping arrangements can vary from one dwelling to another. This modern studio apartment was originally built in 2011 and refurbished in 2012. The agent has rated it as a three star property so it is a well-kept studio apartment, equipped with standard furniture. It is also good value for money. 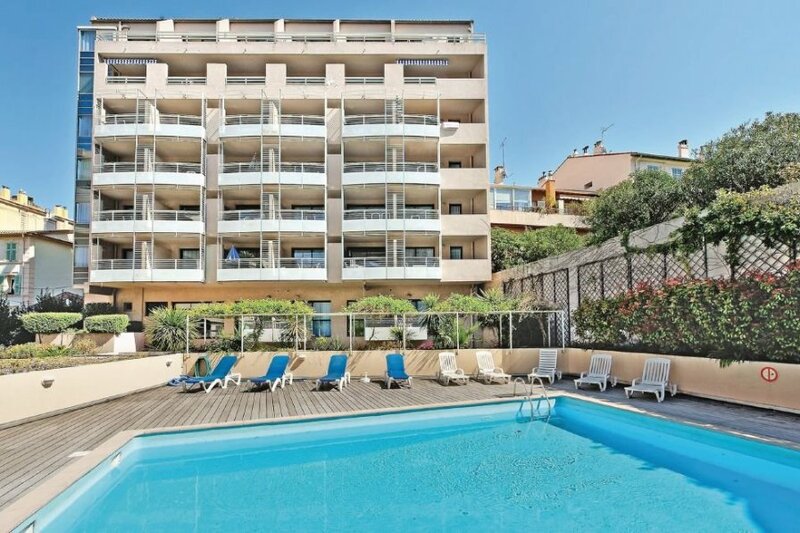 This studio apartment has use of a shared pool and is located in Le Vieux Port-Les Iles, 30km from Nice. It is set in a very convenient location, just 100 metres away from a sandy beach. There's also a restaurant only 100 metres away. The studio apartment has free cable internet. The studio apartment is well equipped: it has a refrigerator, microwave and dishwasher.